Sonia performs at The Avenue, Chesterfield, on Saturday, July 7. Chart-topping star Sonia is heading an Eighties night in Chesterfield this weekend. 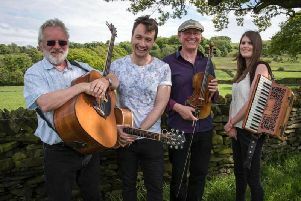 The lively Liverpudlian will be at The Avenue on Saturday, July 7. Sonia topped the charts in 1989 with You’ll Never Stop Me Loving You. Four years later she came runner-up in the Eurovision Song Contest with Better The Devil You Know. Her top 30 hits have included Listen To Your Heart, Counting Every Minute and Only Fools (Never Fall in Love). Sonia will perform live in Back to the 80-ish at The Avenue.